CVG has recently confirmed that Warner Bros. will be putting Injustice: Gods Among Us on hold until April 26th for the UK release on the Wii U. Luckily, PlayStation 3 and Xbox 360 owners won’t be facing the same fate. The clash DC Comics’ finest will still begin for both systems this Friday, April 19th, in the UK. While desperate Wii U fans cling to life through endless streams of YouTube footage, gamers will be salivating at the first DLC offering, Lobo. Destructoid reported on the inter-galactic DC bounty hunter and offered fans a first look. Of course, careful followers will remember early on the potential for Lobo’s involvement in the Injustice universe arriving as a tease via Ed Boon’s Twitter feed. Considering his status as creative director for NetherRealm, it doesn’t seem that it may arrive as a shock for many fans that have been following the game since it was announced. The possibility of the Lobo tease turning out to be a playable fighter seemed to be a pretty safe bet. Still, seeing Lobo as a fully realized character in the Injustice universe and manages to conjure up excitement at the possibilities of who we may see next. Picking up the season pass for $14.99 can help ease your curiosity by granting you access to four additional characters for the price of three. In addition, owners of the season pass will gain exclusive access to the Flash Point Skin Pack which features alternate costumes for Wonder Woman, Aquaman, and Deathstroke. What do you make of Lobo as the first DLC offering? Do you think he will play as a pure power character, or will he have a varied range of weapons at his disposal? Which characters do you hope land a spot as one of the three character slots remaining? 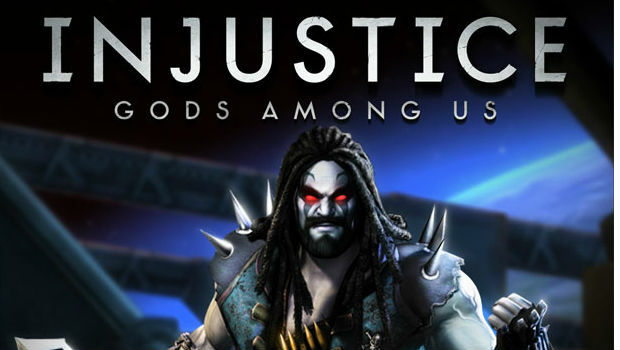 Be sure to leave us your thoughts and impressions on Injustice: Gods Among Us in the comments below. Check back soon for our full review of the highly anticipated DC brawler.